Our Signature Robe Collections are not only durable, long lasting and fabulous; they are chic, luxurious, soft and cuddly. Our Zoo Collection Robes with Animal Prints are great for lounging around, drying yourself off after a nice bath or even after a swim. These Collections are designed for your Little Ones and for adults to. They come with an Animal Pattern on the outside and a bright microfiber on the inside. 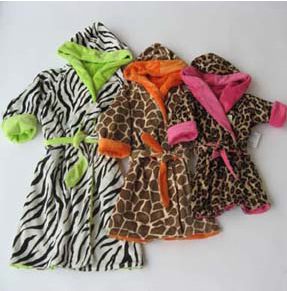 Our Zoo Collection Animal Print Robes are one of our Best Sellers,they are Canadian Made and they start at $62.50. Each robe is handmade, incredibly durable, and sure to keep any child cozy and warm. These robes are beautiful, fast drying and absorbent; they will last anyone a long time as they are made to fit but with room to grow! Also why not make this a set and add the matching blanket. These blankets are soft, cuddly and nurturing. They measure30"x40". If you choose to embroider this robe please be advised that once embroidered the robe can no longer be reversible. 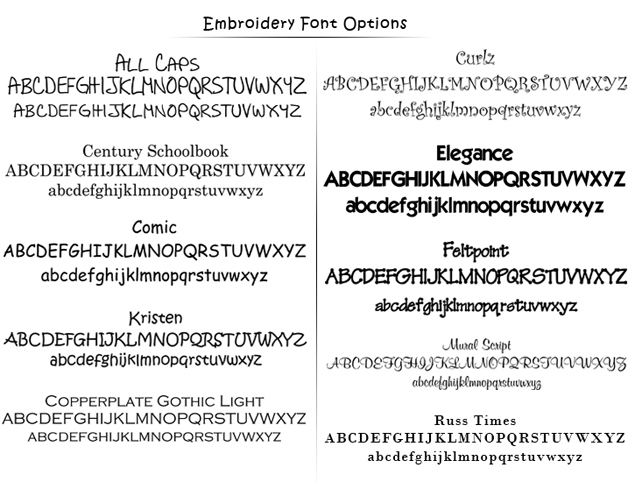 Also we will embroider the side that looks the best if you have not made a specific request. Please keep in mind that when embroidered on one side you will see the pattern on the other side. 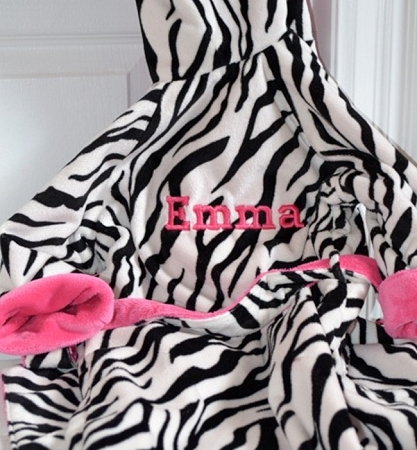 Should you choose the matching blanket and wish for it to be personalized, please select to purchase it through the zoo blanket collection in the blankets category, as the embroidery option in this selection is strictly for your robe purchase.